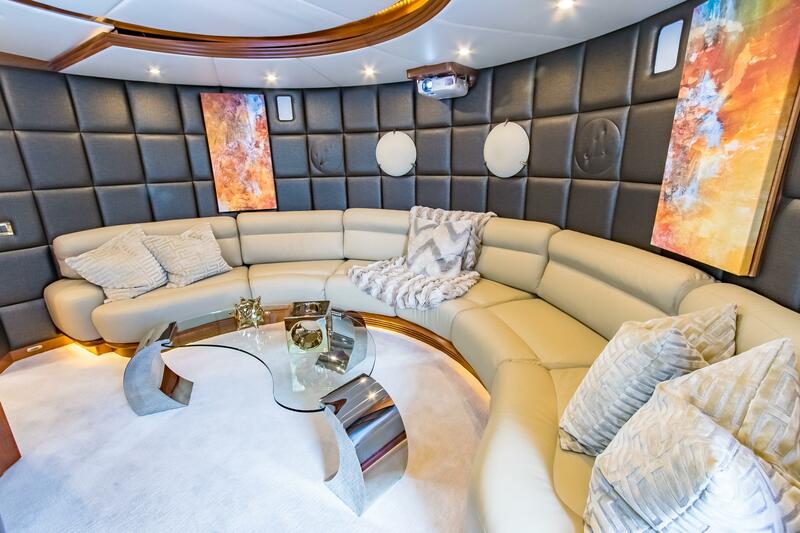 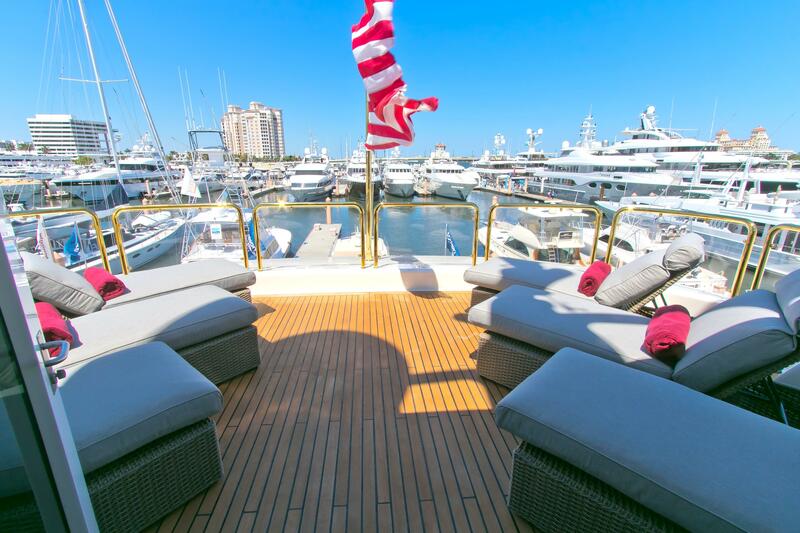 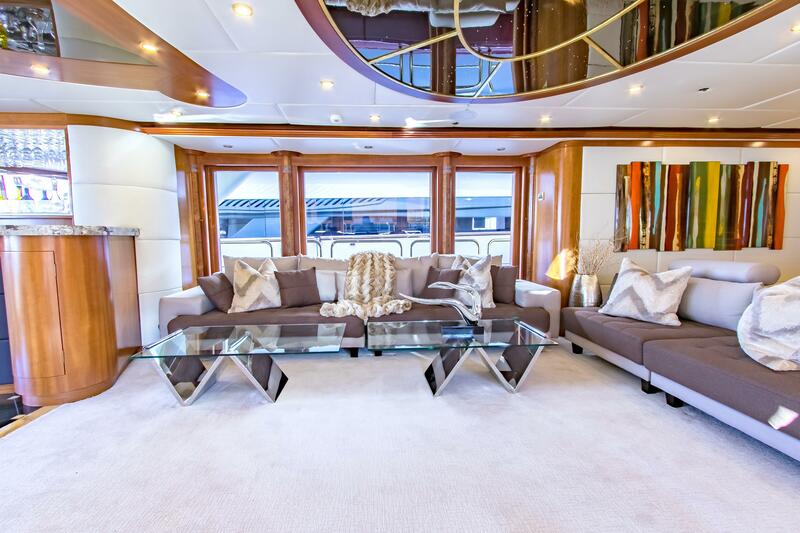 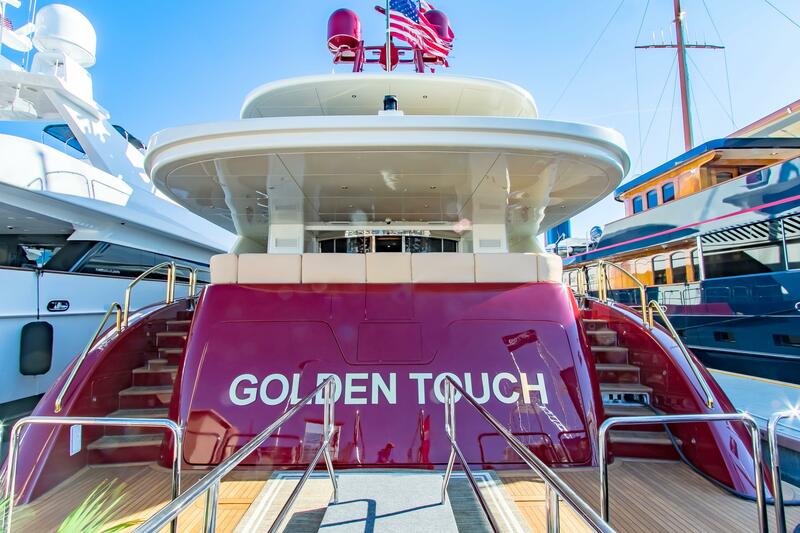 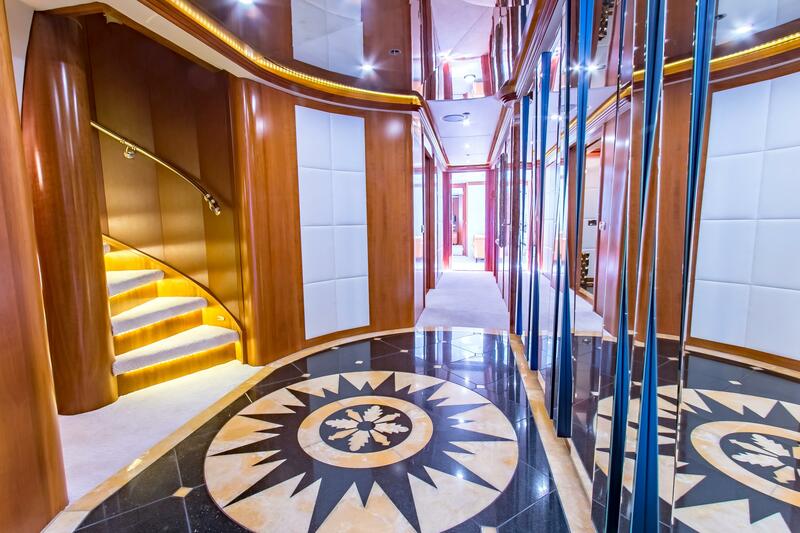 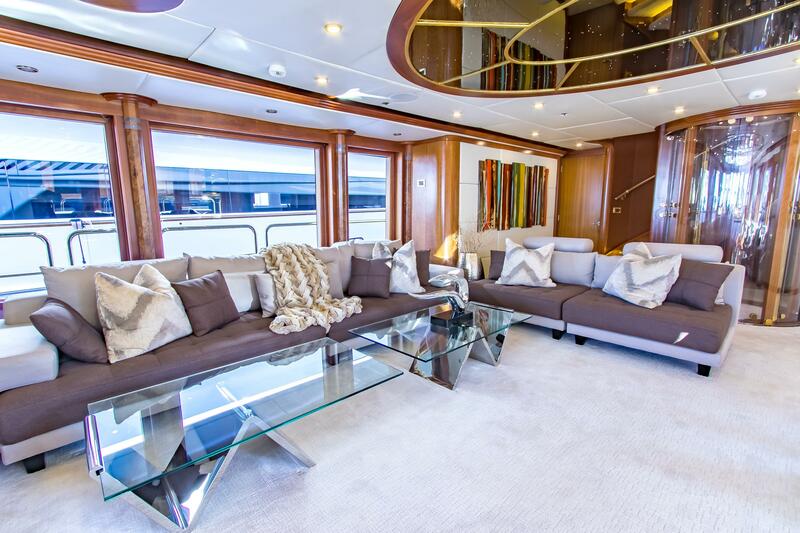 The 44.81m (147') motor yacht GOLDEN TOUCH II (ex Maratani X) is a luxurious vessel offering great features for a fun and relaxing charter vacation. 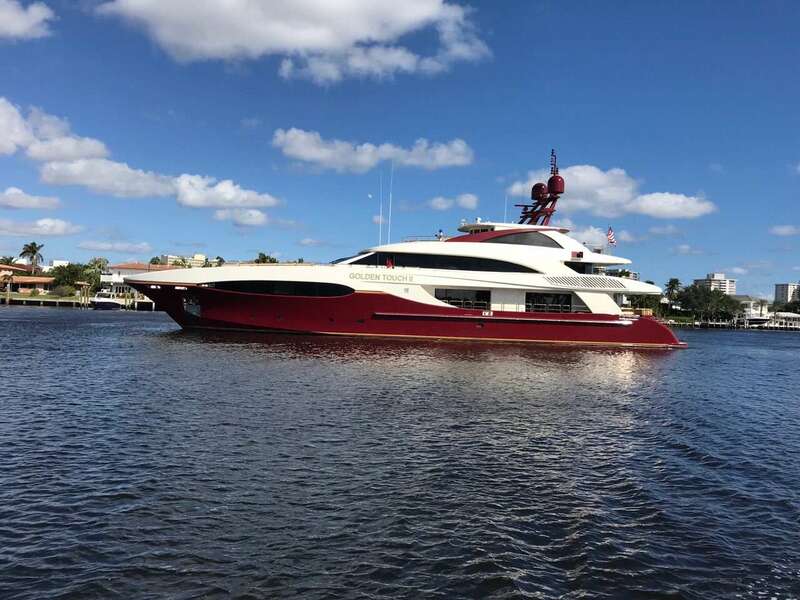 She was built in 2006 by Sensation Yachts and refitted in 2017. 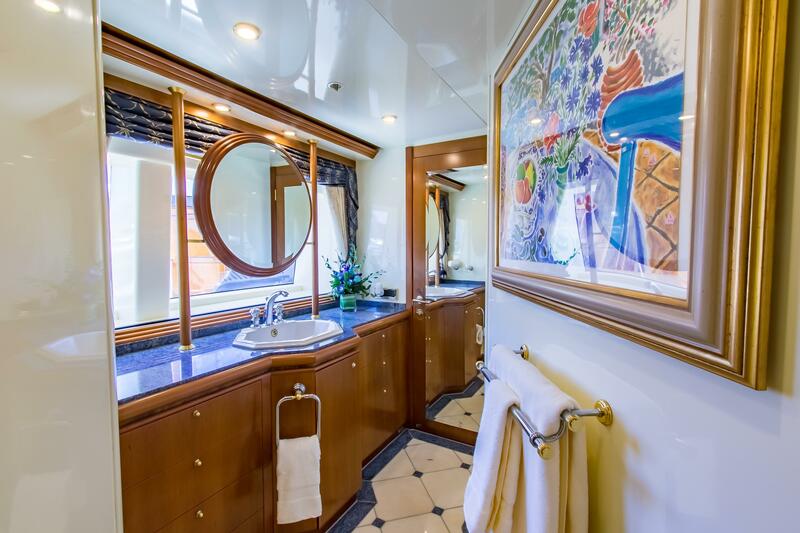 Golden Touch II was designed by Evan K. Marshall with naval architecture by Phil Curran and sleeps up to 12 guests in 6 deluxe cabins. 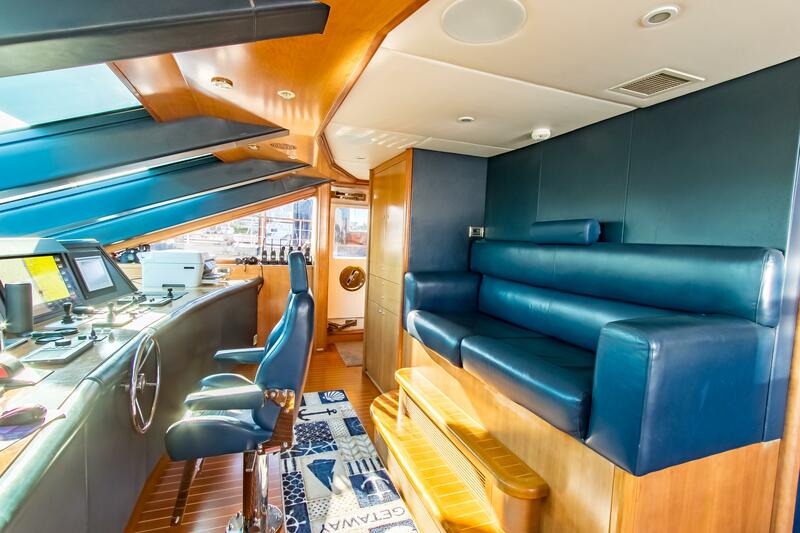 The main deck aft provides guests with plush seating along the stern for outdoor relaxation and spending time on personal pursuits. 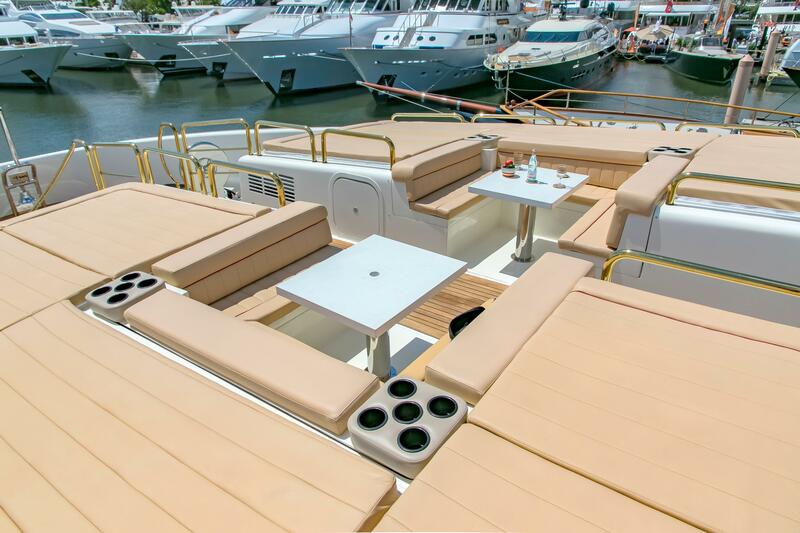 Two small seating areas with drinks tables are fitted on the bridge deck bow, both of which are surrounded by sunpads. 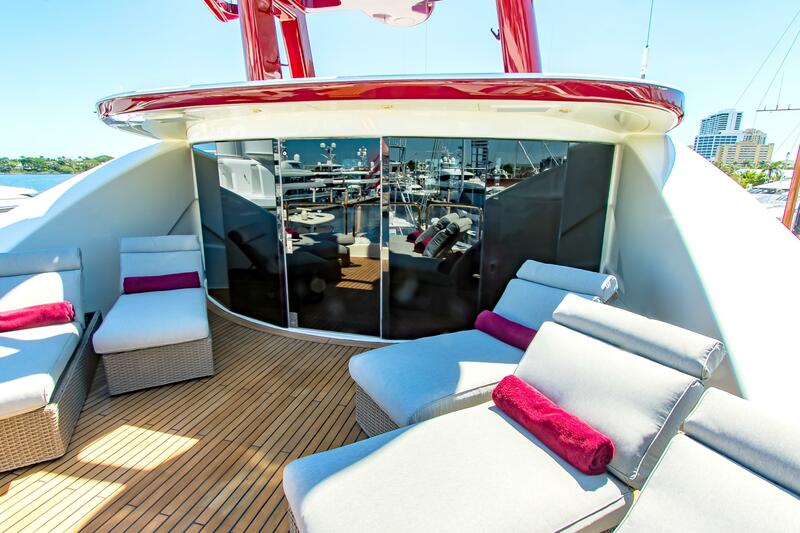 To the aft, the shaded space provides the Master suite with a private terrace furnished with armchairs, a raised table with cushioned seating and a sun lounger. 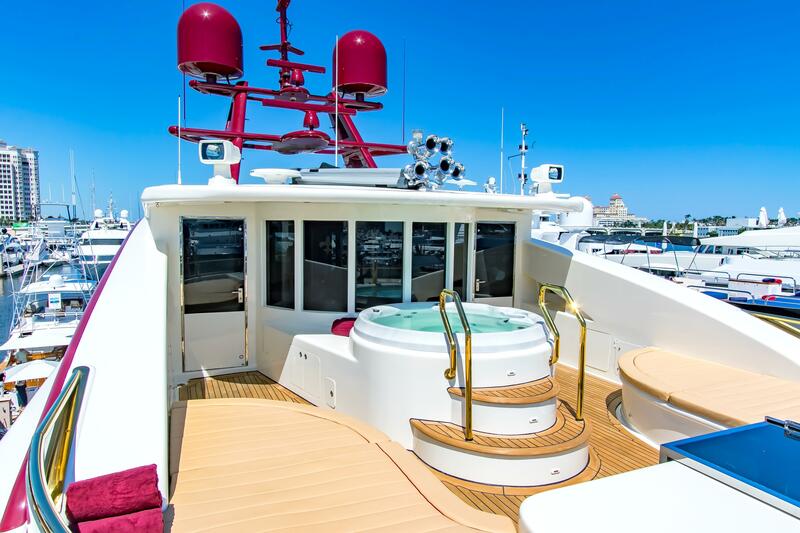 The upper deck forward is fitted with a raised Jacuzzi and sunpads for taking in the sunshine and the elevated views in peace. 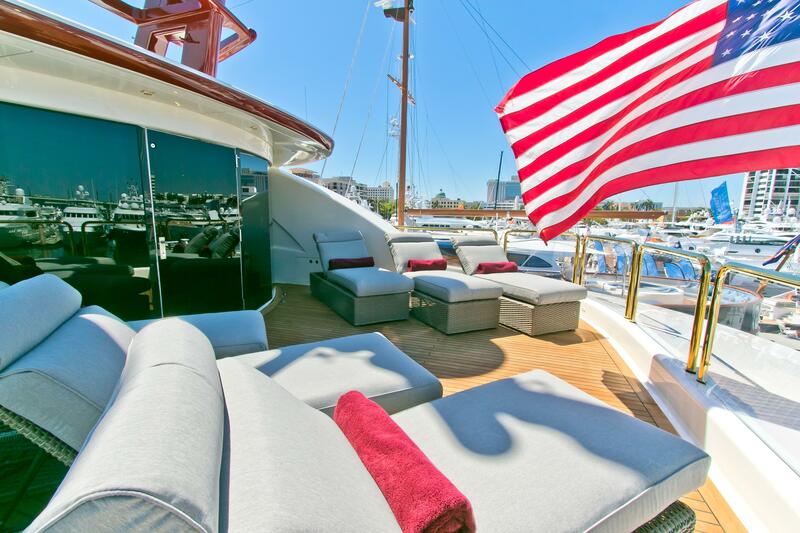 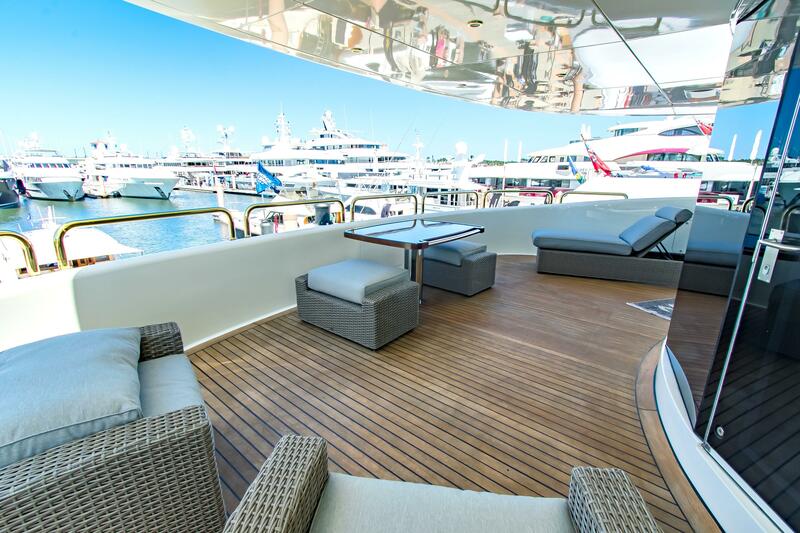 To the aft, there is a row of sun loungers along the stern for the group to enjoy the area together. 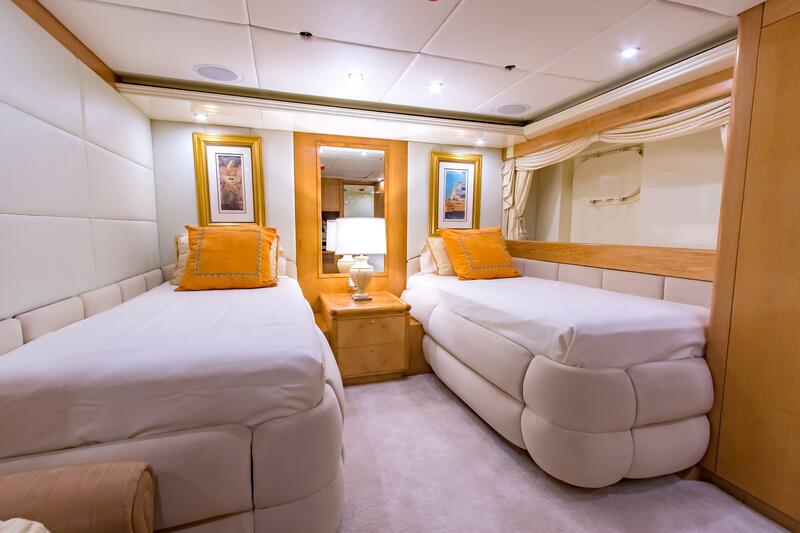 The lower deck contains the tender garage and the guest accommodation, which consists of two double cabins and two twin cabins. 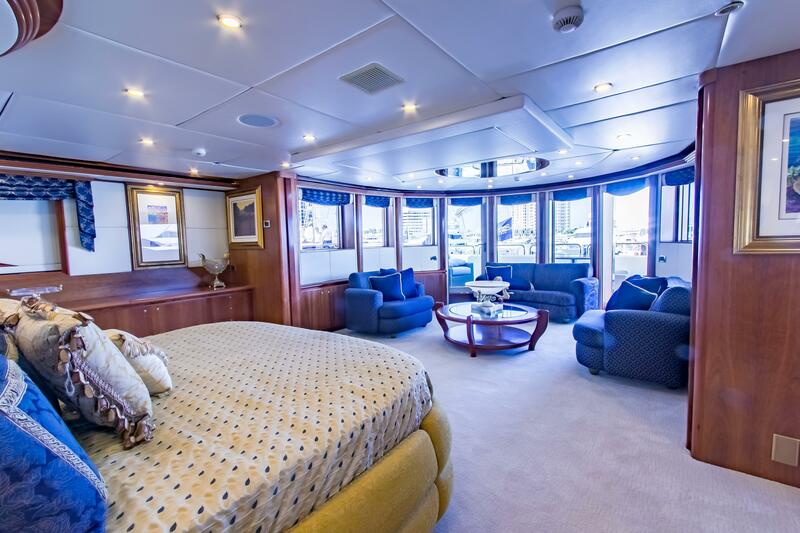 The crew accommodation is located in the bow. 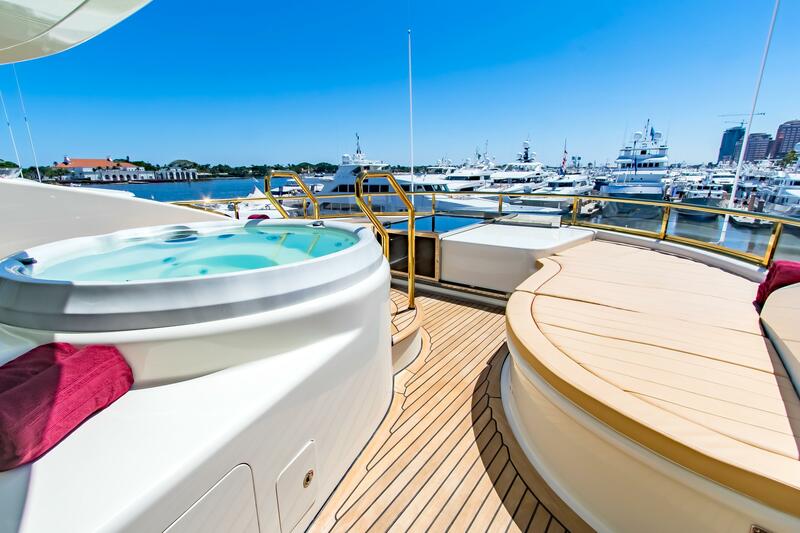 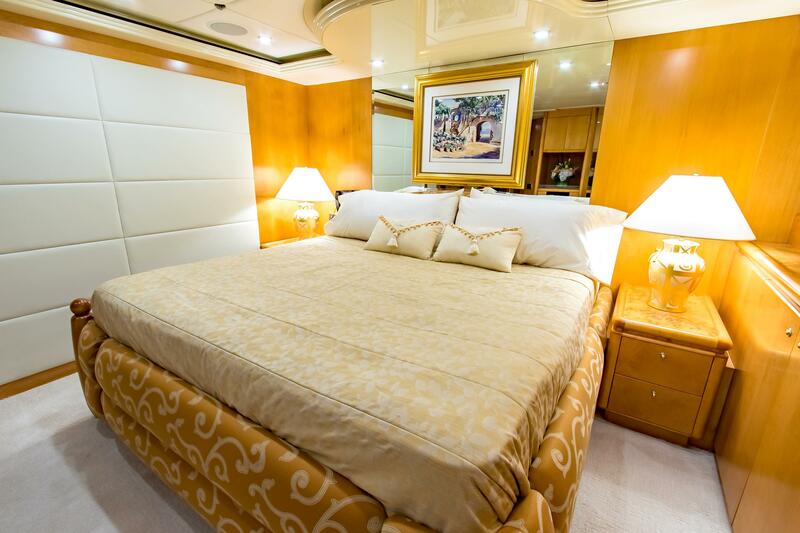 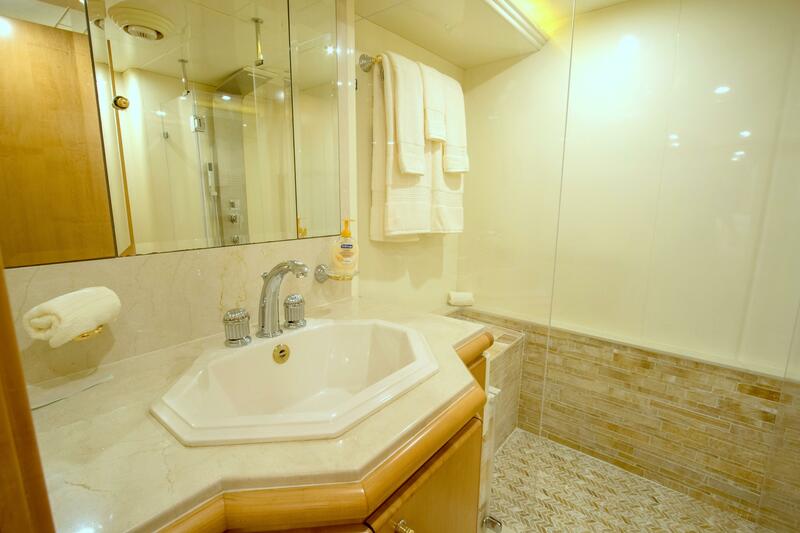 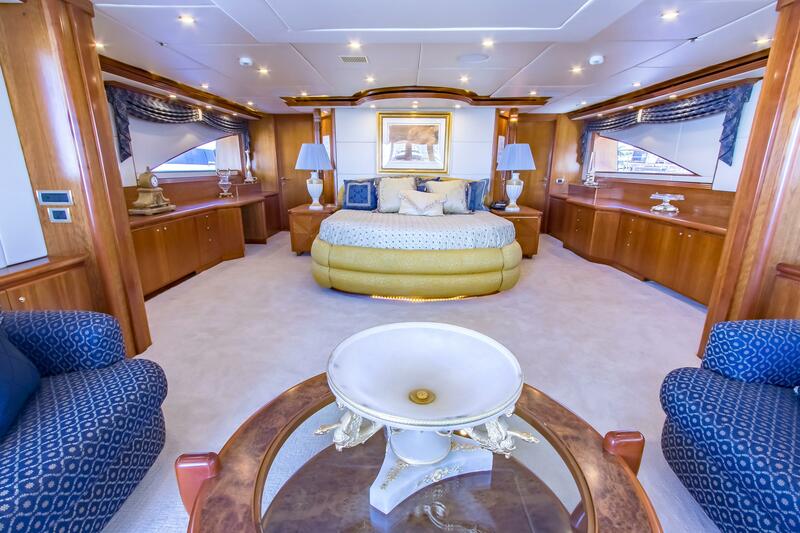 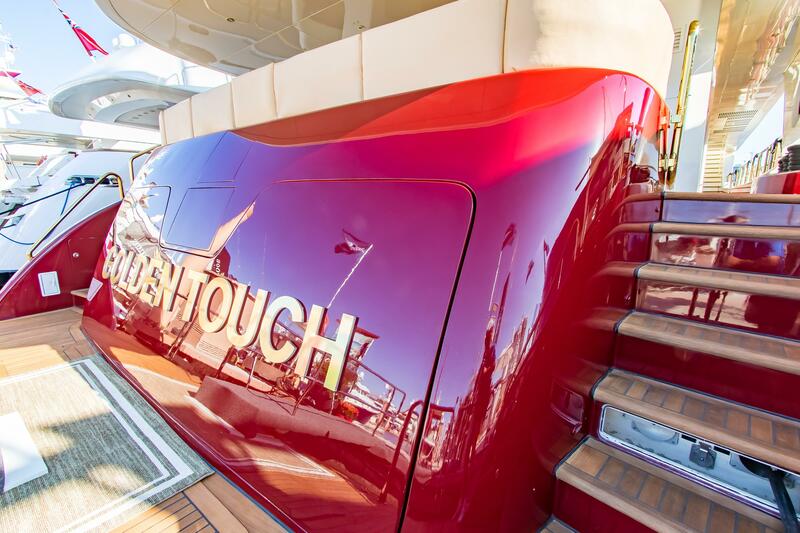 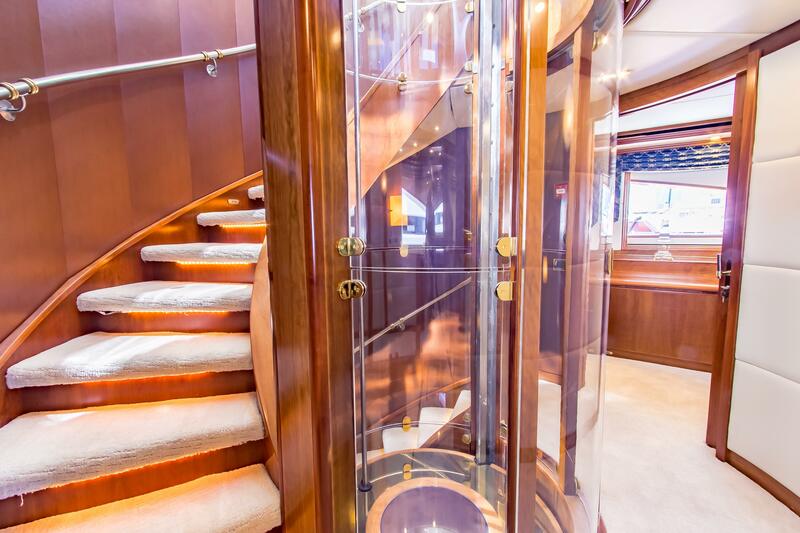 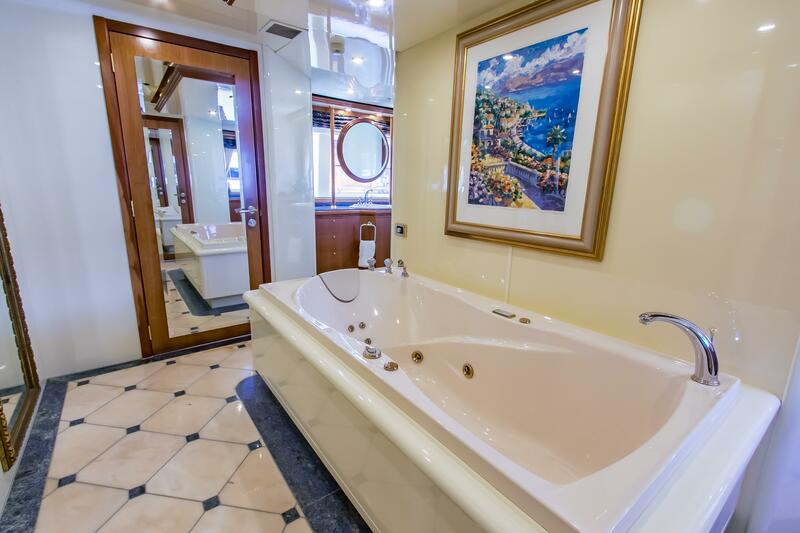 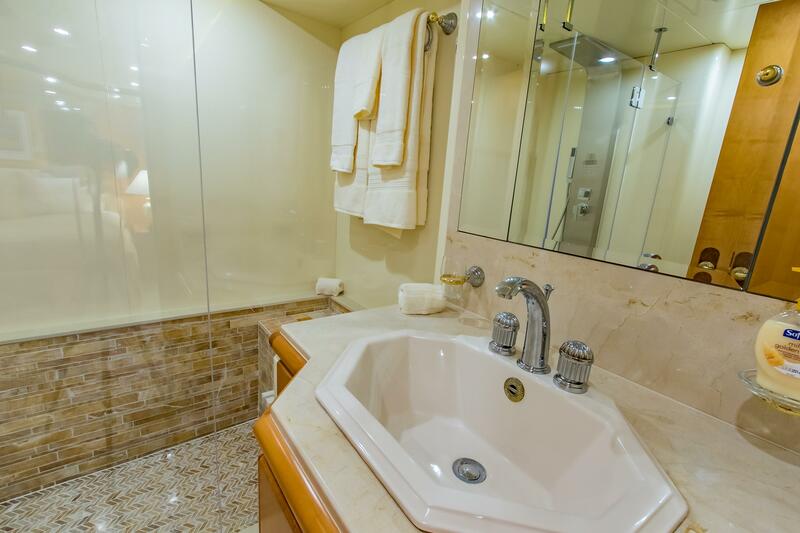 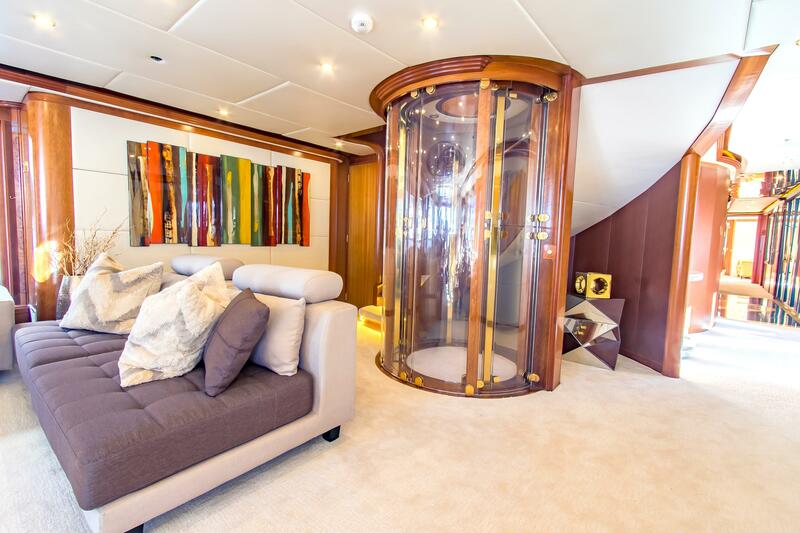 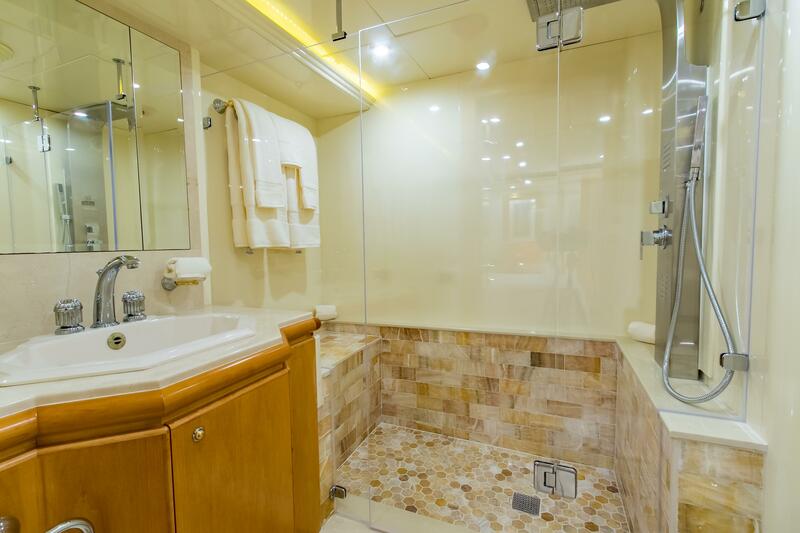 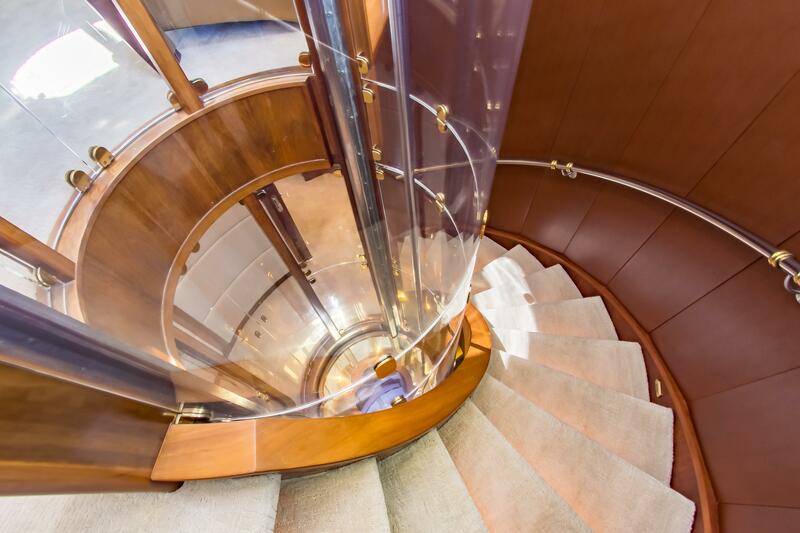 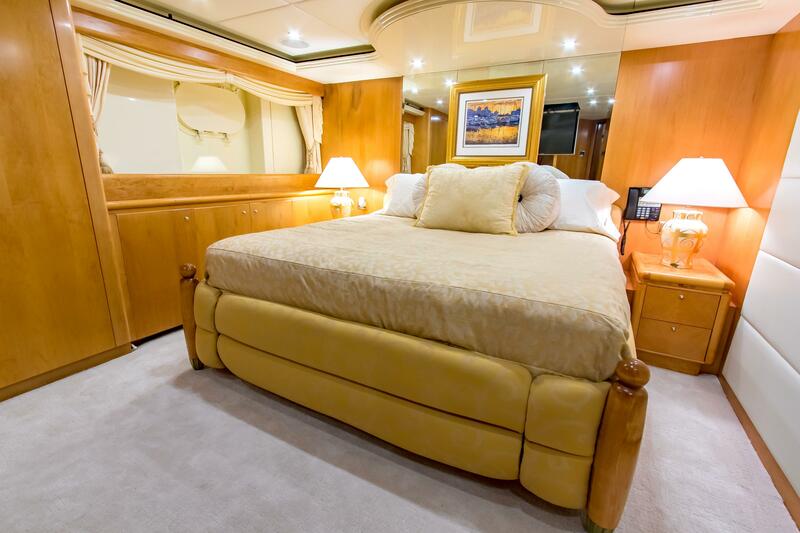 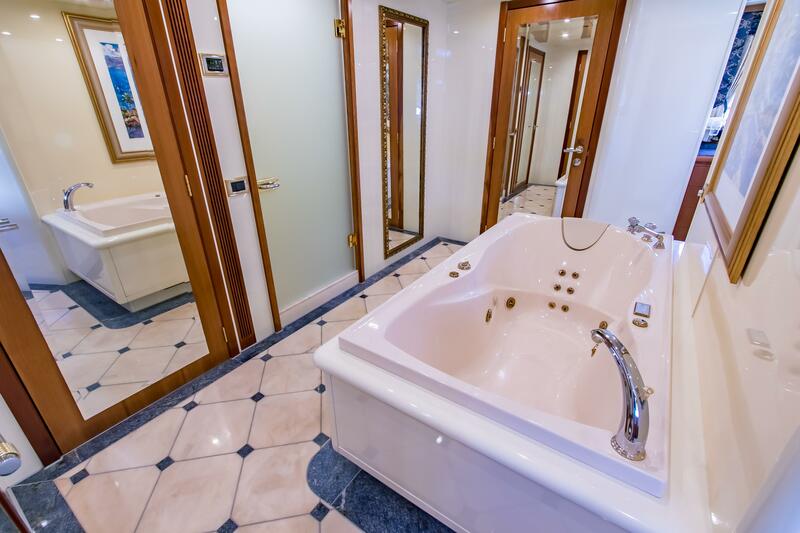 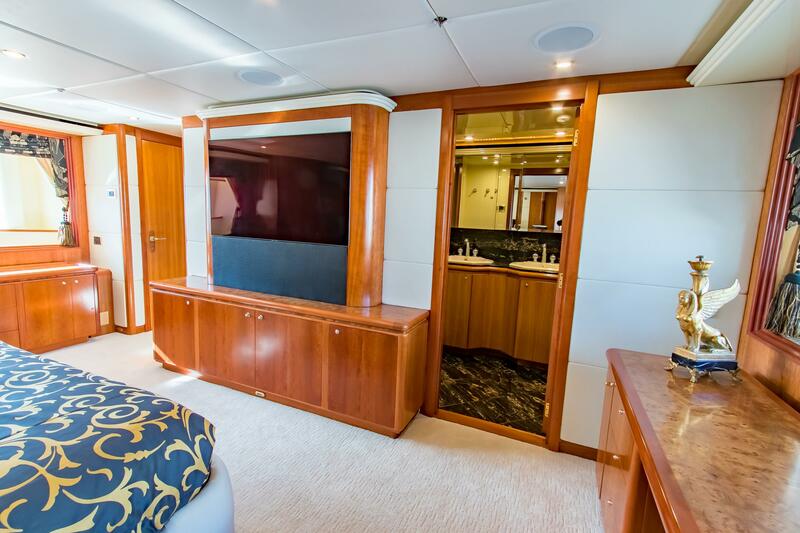 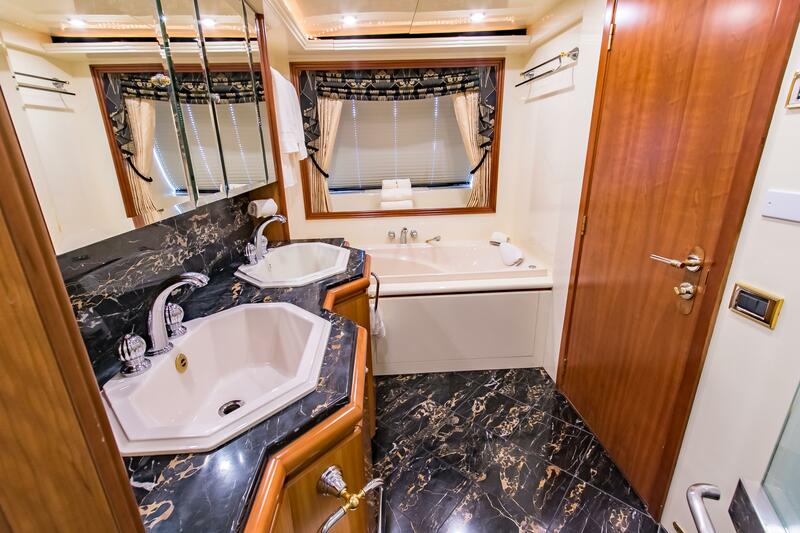 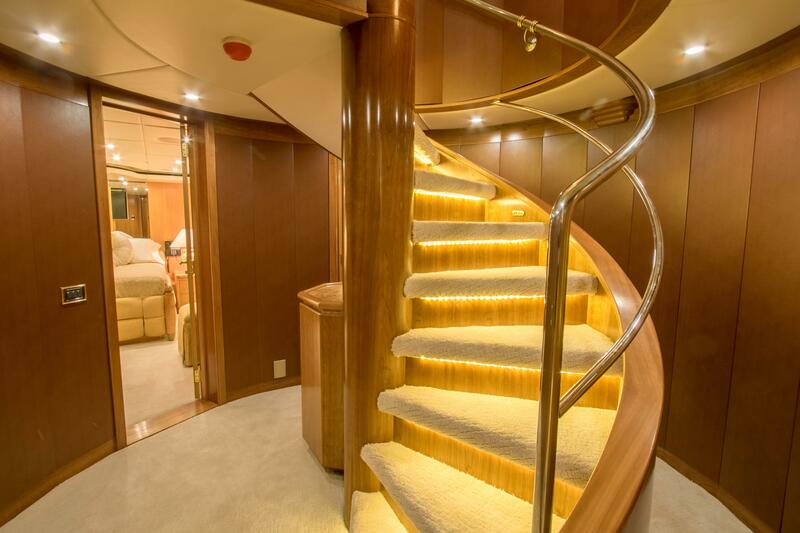 On the main deck, the full-beam VIP stateroom is situated forward and has a spacious en-suite bathroom and a study. 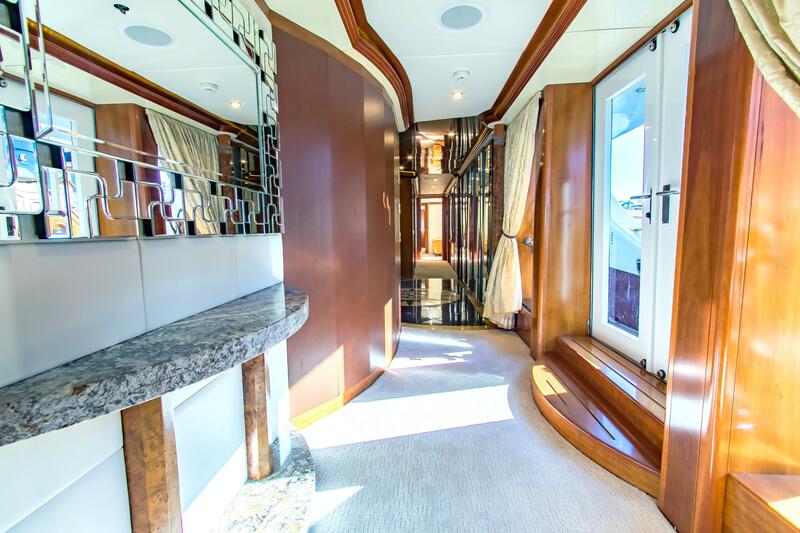 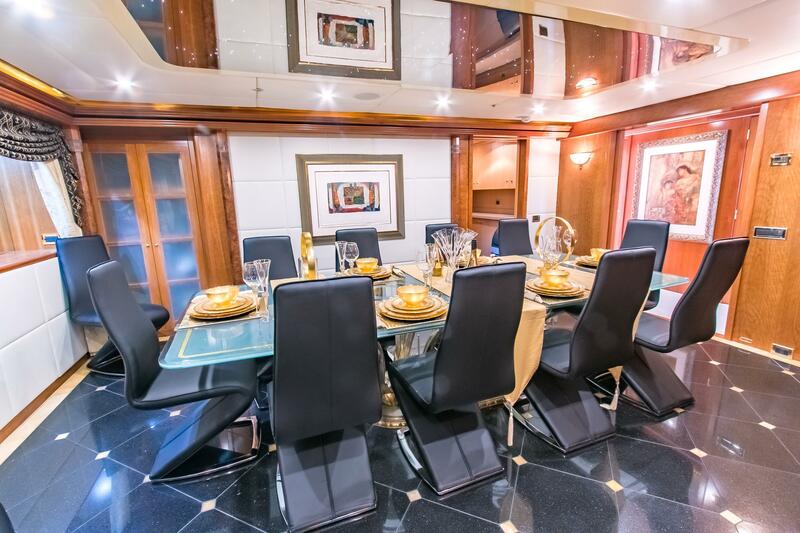 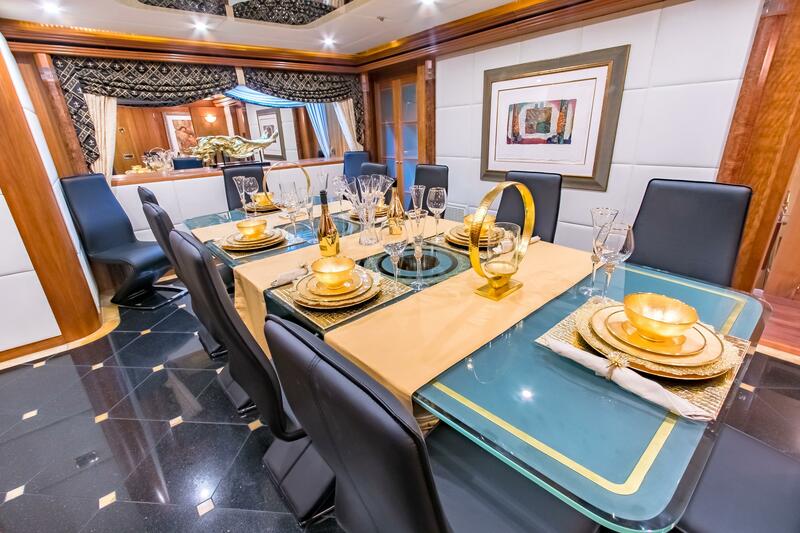 To the aft is the formal dining room, within which there is a table to seat up to 10 guests. 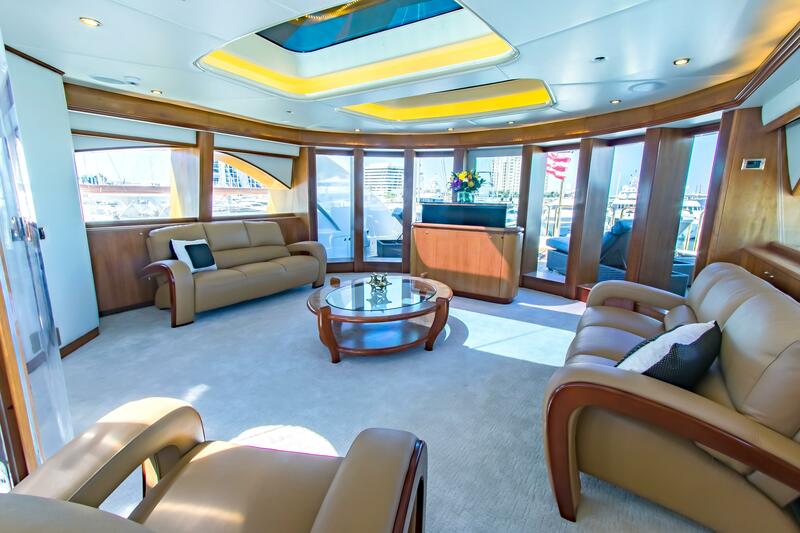 Behind, the main salon makes uses two sofas to create an L-shaped formation to efficiently use the space and provide guests with a place to sit close to the tall and broad windows. 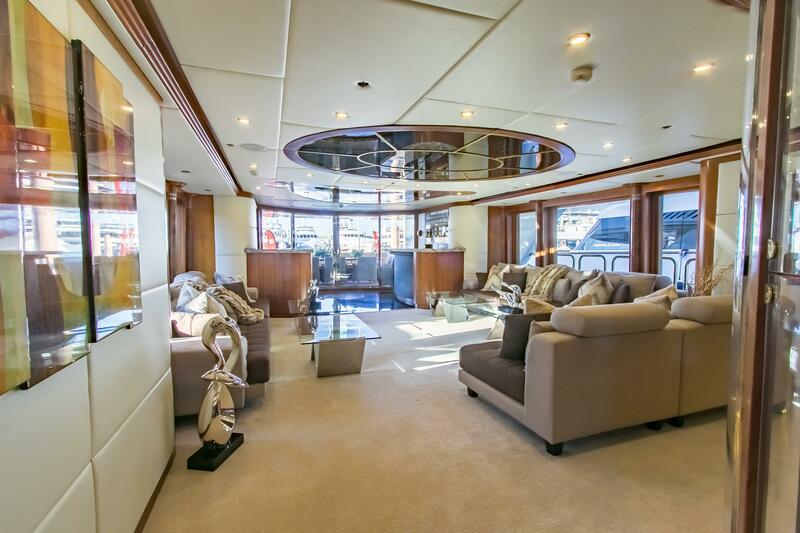 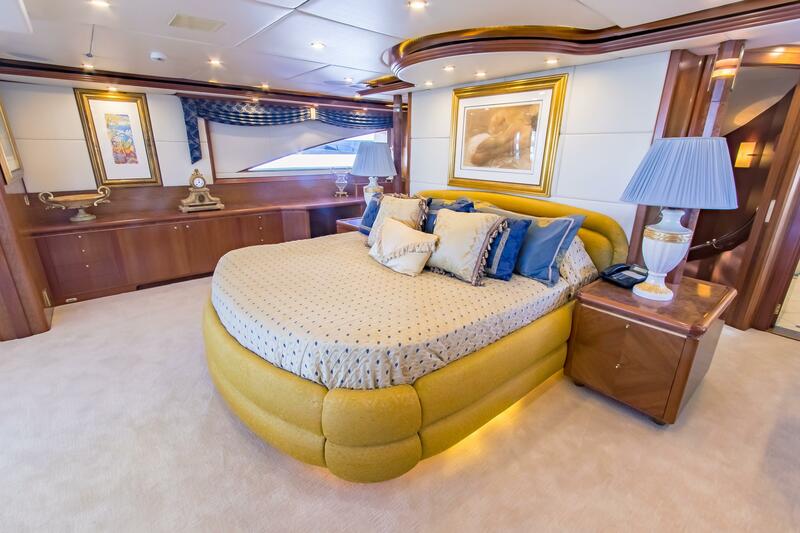 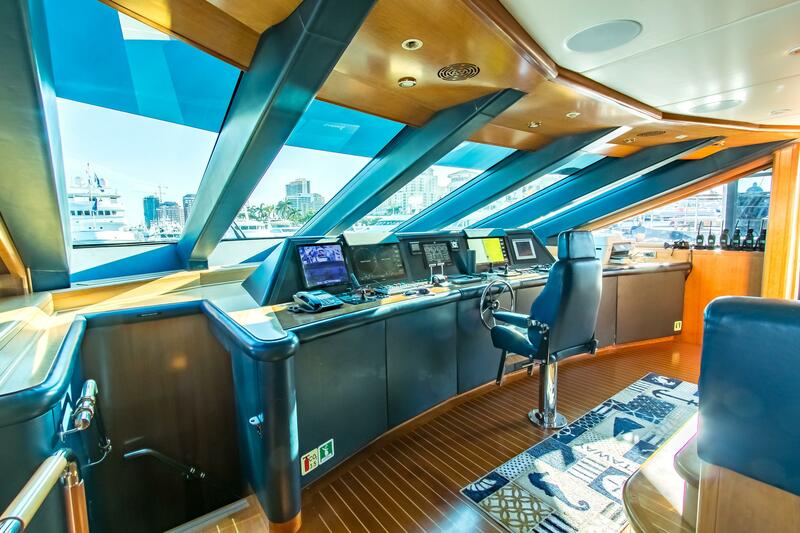 Above, the bridge deck hosts the helm station, the theatre room and the aft Master suite complete with an en-suite bathroom and a lounge as part of the open-plan bedroom, where full-height windows that lead outside. 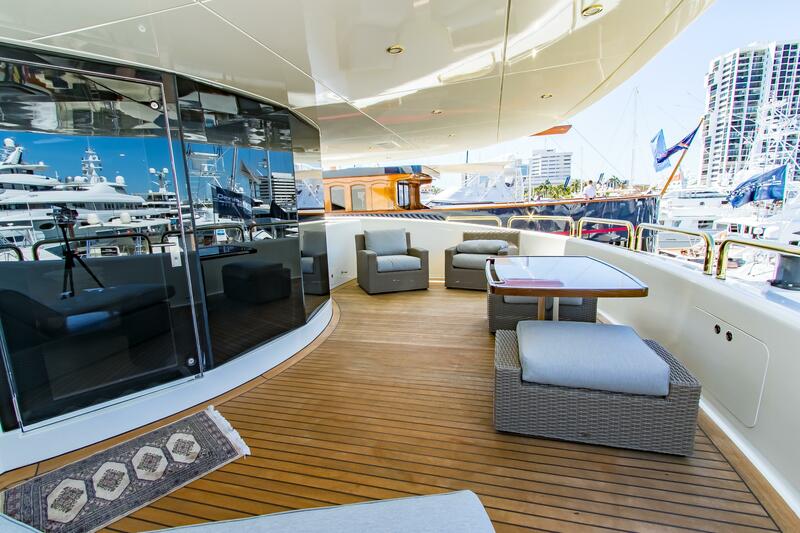 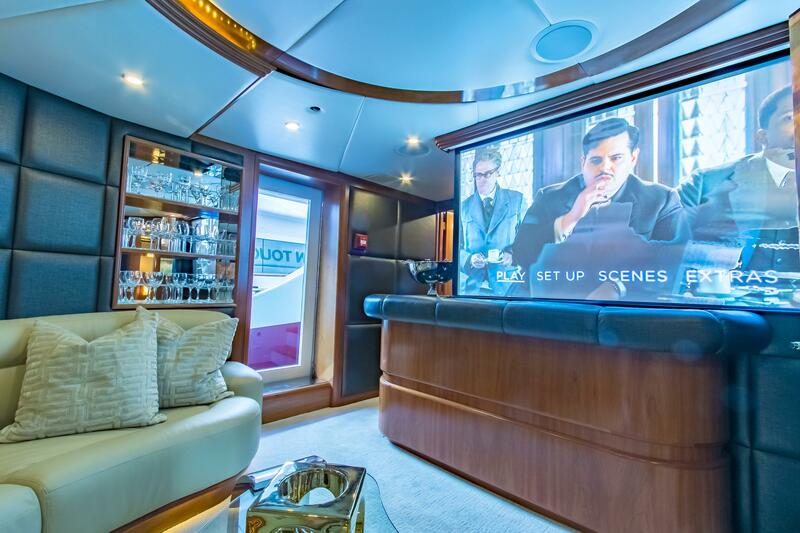 The circular upper deck skylounge has spongy sofas that are placed around the room for separate conversations and to easily view the TV near the aft sliding doors. 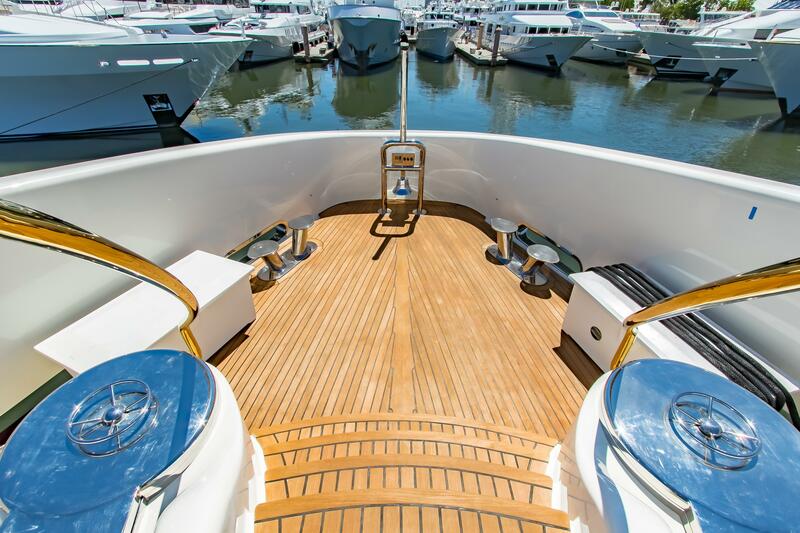 A pair of 3,000 HP Caterpillar 3516B-DITA diesel engines produces a cruising speed of 18 knots, a top speed of 24 knots and a range of 2,000 nautical miles. 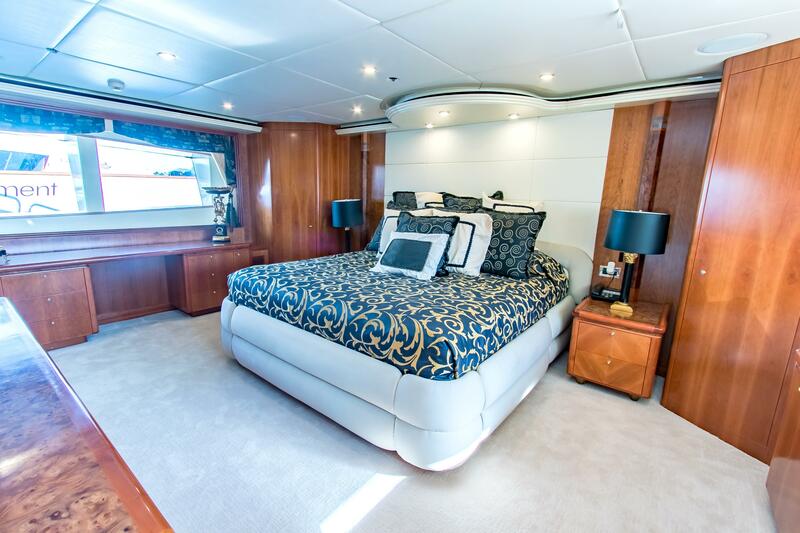 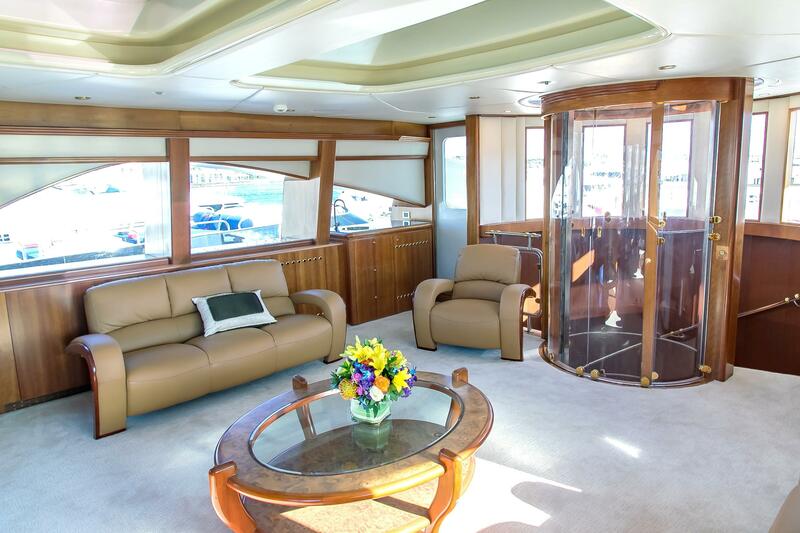 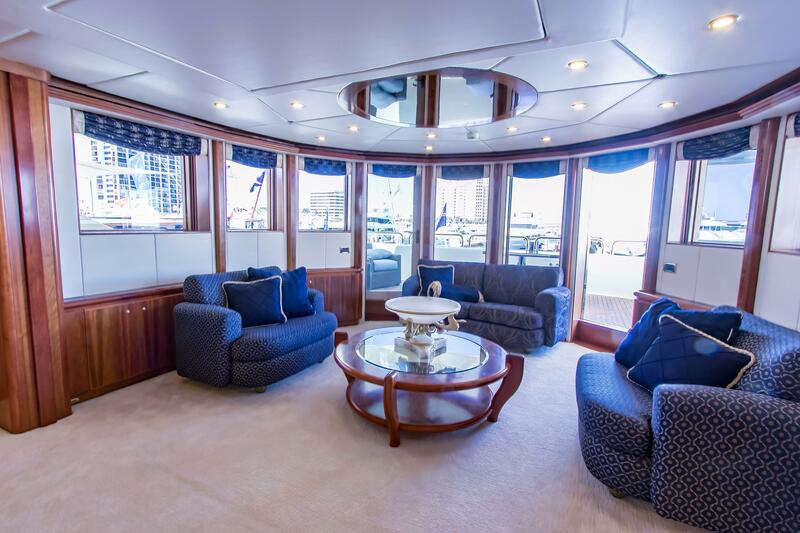 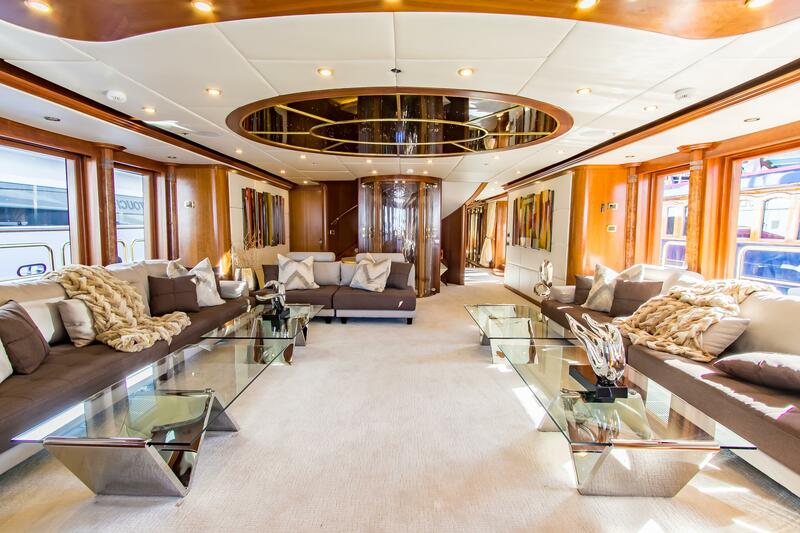 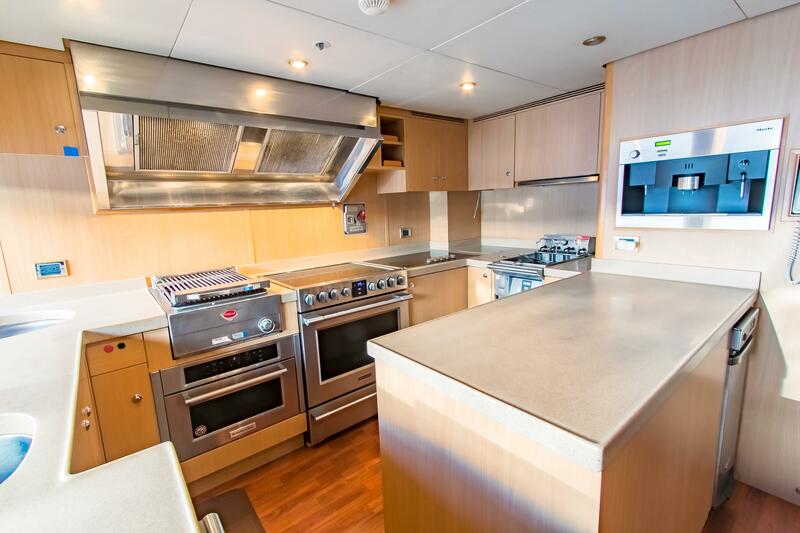 There are 6 spacious cabins accommodating up to 12 charter guests and she has is a crew of 8 on board. 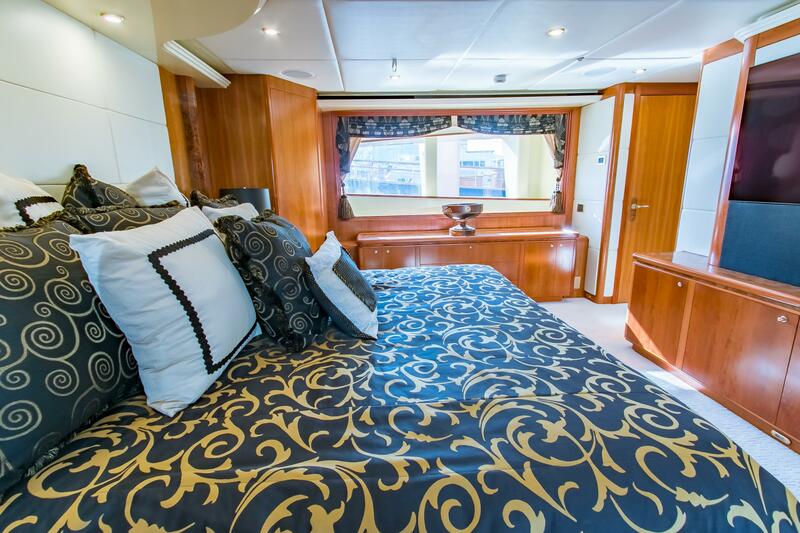 The accommodation sleeps up to 12 charter guests over 6 beautifully appointed staterooms: 1 Master suite, 3 double cabins and 2 twin cabins, all with en-suite facilities. 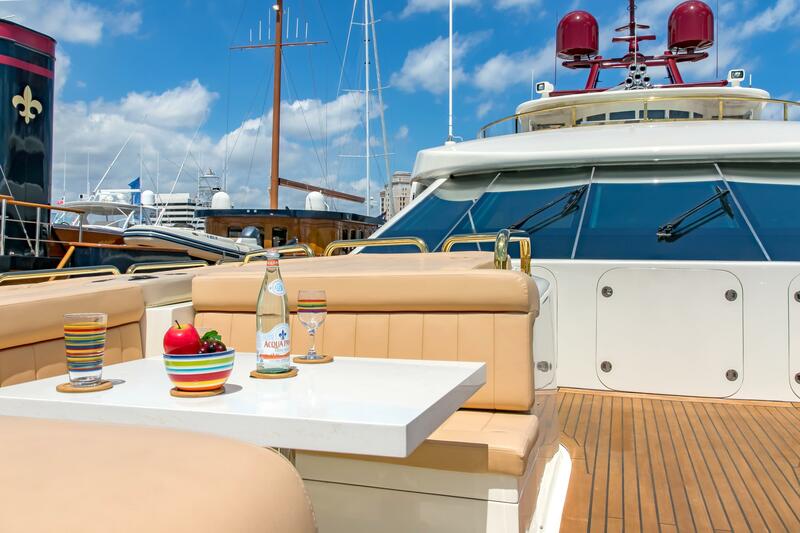 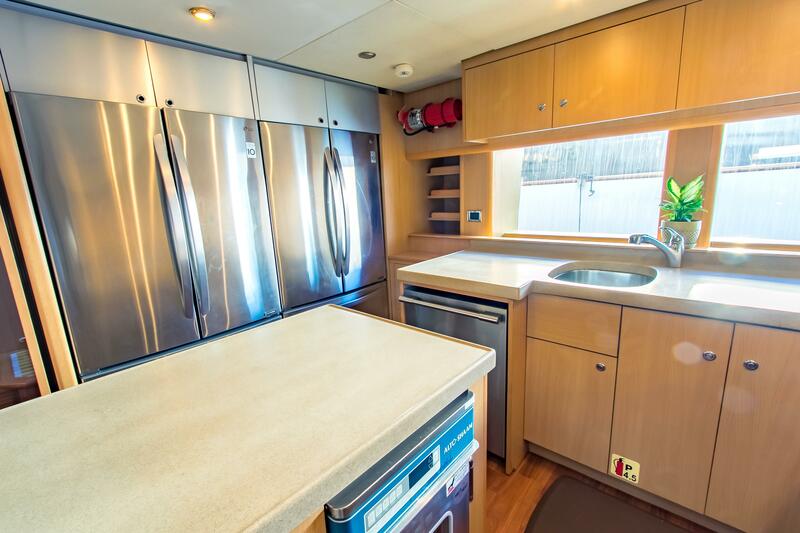 The crew of 8 will provide everything guests require for a fantastic holiday. 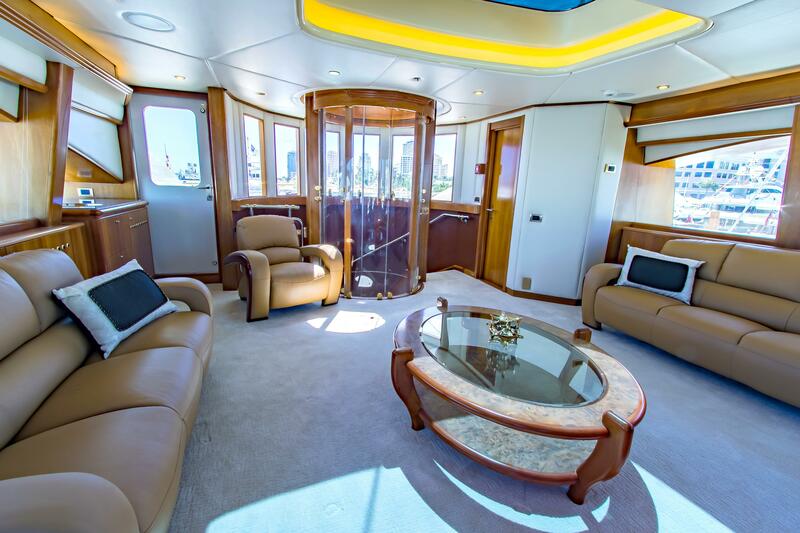 Tenders & Toys Everglades With 3 x 350hp 2 Jet skis Fishing gear Sea Scooters Paddleboards Kayaks Assorted water toys Contact us for any additional toys you would like to use on your charter vacation.